The online retail giant will place both departments under the former White House press secretary. 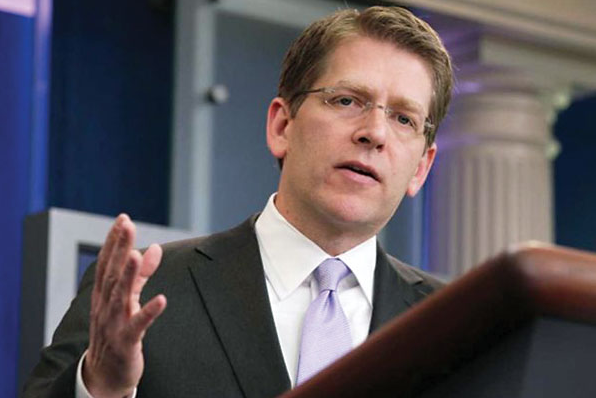 Former White House Press Secretary Jay Carney will join Amazon in a new role overseeing both PR and public policy, Politico reported Thursday morning. Update: Ty Rogers, corporate communications senior manager at Amazon, confirmed that Carney will join the company as SVP and head of the newly created global corporate affairs department. Carney had been working as an analyst on CNN since last September, a gig he will leave when he joins the e-retail giant. He stepped down as the Obama administration’s lead spokesman last June and was replaced by former deputy Josh Earnest. In terms of structure, both the global communications and public policy units will be merged into one department under Carney. Both PR leader Craig Berman and lobbying chief Paul Misener will report to the former journalist, who will divide his time between the nation’s capital and Amazon’s Seattle headquarters, Politico reported. Carney isn’t the first former key Obama message-crafter to take a job in the technology sector. Uber hired former Obama for America campaign manager and senior adviser to the president David Plouffe as SVP of policy and strategy last August. Berman declined comment to PRWeek. This story was updated on February 26 with confirmation from Amazon.